All documentaries have an agenda; all documentaries reflect the perspective and opinions of the filmmakers producing them. 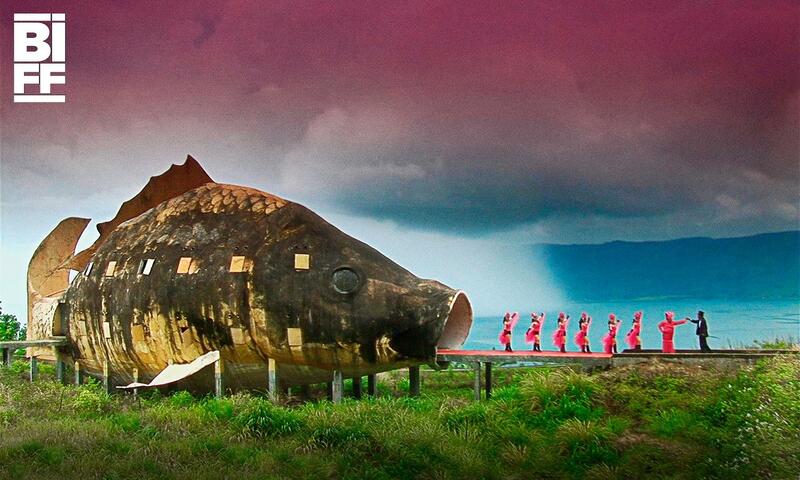 The Act of Killing is a profoundly difficult film to watch because of its agenda. It’s not surprising that a film about the Indonesian mass-murders of 1965-66 would be confronting: this was a time where hundreds of thousands, even millions of people were slaughtered as “communists,” simply because the new Indonesian military-run government perceived them as a threat. The men responsible for such horror are not persecuted war criminals, but remain lauded members of the Pancasila Youth, a military organisation that grew out of the slaughter and has full Indonesian government support even today. There are, somehow, funny moments in this film. And surreal, inexplicable moments, as mass-murders dressed in drag cavort amongst dancing girls. And there are moments that make you despair. The Act of Killing is often incredibly difficult to watch, but not for the reasons that I had expected entering the cinema. I think I had expected a confronting a film because of the subject matter; but a confrontation that presented me with tales of the victims, people who survived the torture inflicted by these men, or the children of the victims (we do meet one – only one – victim, a man who laughs with the killers and shares a story about his father disappeared in the night, found murdered the next morning under an oil drum. This same man then recreates an interrogation scene for the killer’s re-enactment as the men joke about killing him for real). This is not a documentary that confronts you with the plight of the victims of the ’65 massacres; not directly in any case. The Act of Killing is confronting because it expects you to sympathise with these killers; not just to understand them, but to respect their feelings and view them with compassion. Director Joshua Oppenheimer wants you to understand what the act of killing does to a person. For most of the film, I found myself putting a wall up against this film and these men, refusing to see them as real people who have committed such atrocities; having grown up with cartoon villains, it’s difficult to accept the banality of evil. The film feels too long; the director’s cut playing at the Brisbane International Film Festival stretched to two-and-a-half hours, and it felt longer (apparently there is a shorter cut that runs for under two hours). This can, perhaps, be explained by the documentary’s challenging nature, and the difficulty I had accepting its agenda. But it must be said that the film does meander; scenes following a Pancasila Youth general as he extorts Chinese shopkeepers or a digression into the corrupt democracy of Indonesia – where bribes are a necessary part of the process – are interesting, but distract from the core of the film. The Act of Killing is a powerful, thought-provoking document. It’s also profoundly emotionally affective; just writing this review, a day after seeing the film, I feel a lump rise in my throat. Is it a good film? A bad film? Part of me wishes that I hadn’t seen it, part of me wonders if the film should even have been made. But great art should be challenging, it should make you feel uncomfortable. Towards the end of the film, Anwar breaks down, unable to complete filming a scene where he re-enacts his most common method of murder, strangulation by wire, as the victim. Tears in his eyes, he asks the camera if this is how his victims felt before he murdered them. As much as I didn’t want to, it’s impossible not to feel for this monster, to recognise his humanity. To recognise man’s potential for inhumanity. I also saw the two-and-a-half hours version. I also found it to be a little too long. At the same time, though, I found it to be perhaps the most fascinating and complicated movie of the year. I think people will be talking about this one for many years to come. I would have loved to see the shorter cut, but it really is the kind of film that I feel silly putting a numerical rating on, or describing as a “good” film. It’s not a film I’m going to forget anytime soon, and something I’ll be thinking about for a long time. That is definitely true. I don’t know if I could’ve even written a review about it. Nice review man. Tis an incredibly powerful and disturbing film to watch. One I am glad I experience but not particularly keen to endure again.